The zombies are getting stronger, and so are the survivors battling them - theyre inventing new battle gear and teaming up with other zombie fighters to keep striking back! 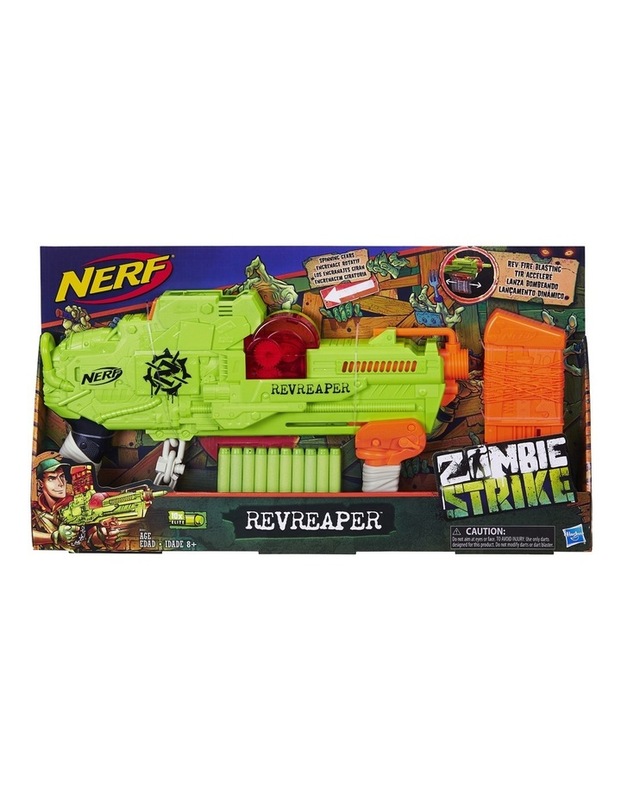 Take along the Nerf Zombie Strike RevReaper blaster for fast dart firing! No priming needed for this trigger-less blaster, just move the pump handle back and forth to fire a dart. Its designed with a visible gear mechanism so battlers can watch the gears turn as they launch the darts. 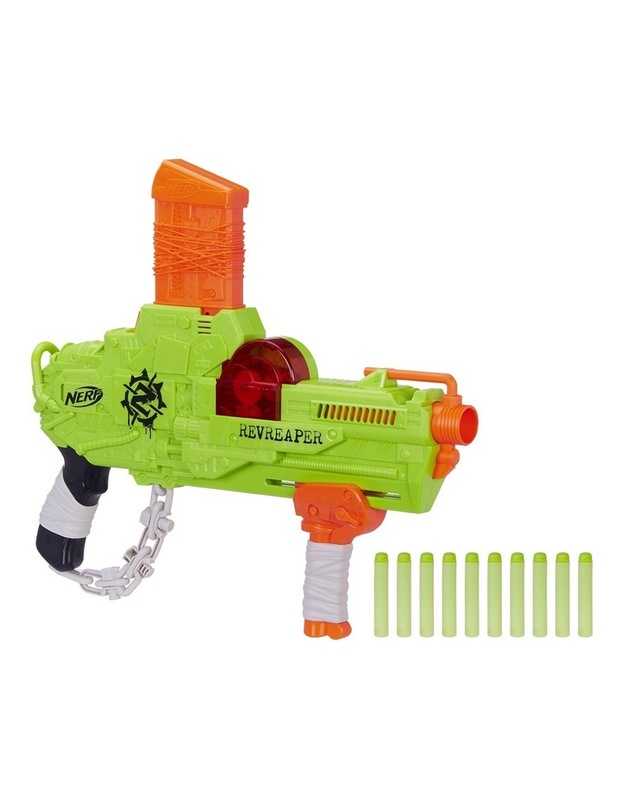 The 10-dart clip loads into the top of the blaster. The RevReaper blaster has fun details that reflect the Zombie Strike story of survivors who are creating battle gear with parts they scrounge from different places. Includes 10 Zombie Strike darts.